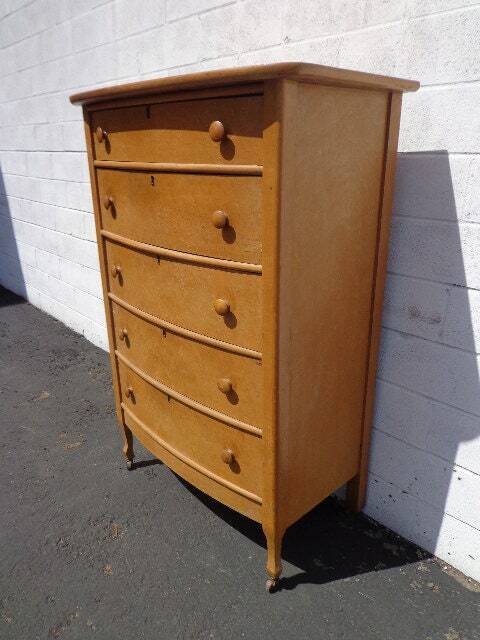 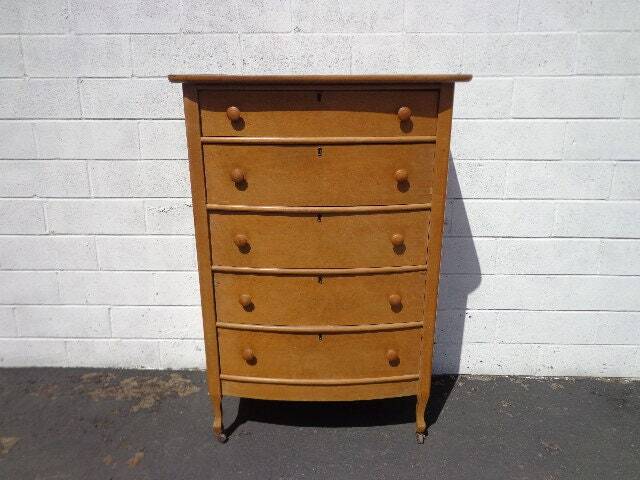 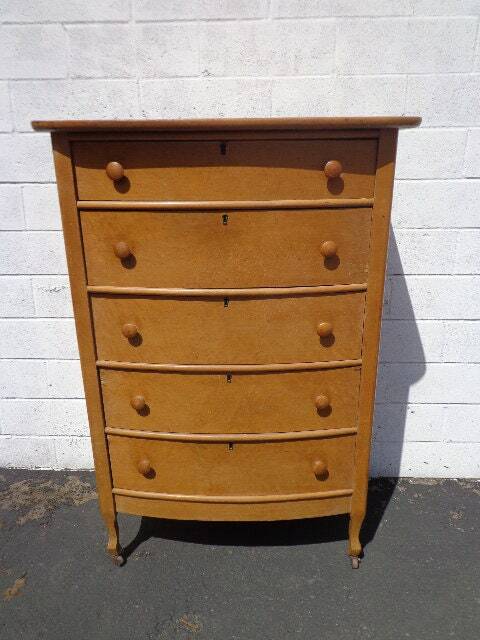 Adorable antique chest of drawers / dresser. 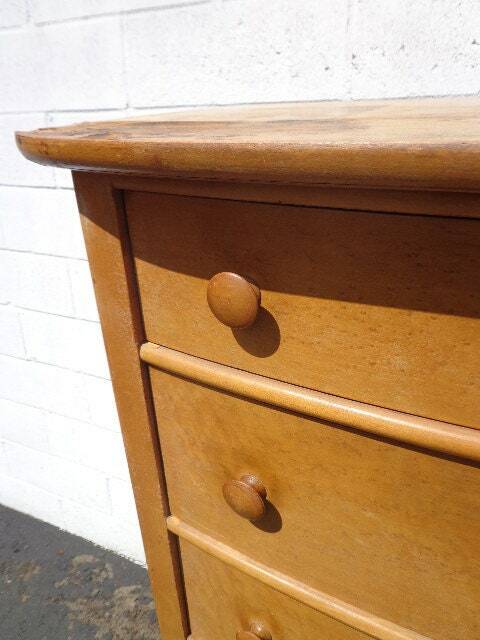 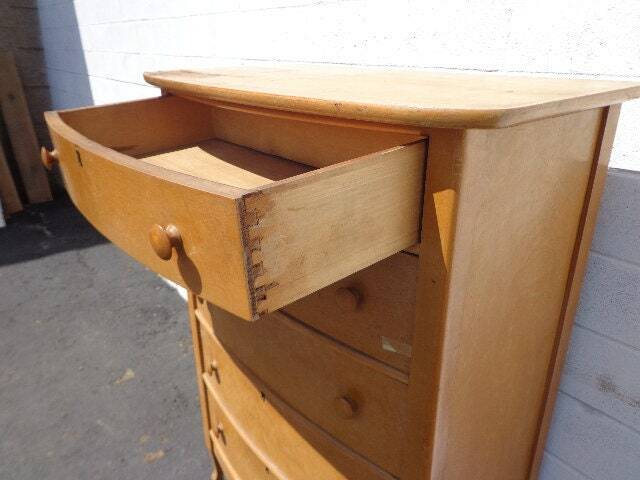 Features 5 drawers and the original wood finish. 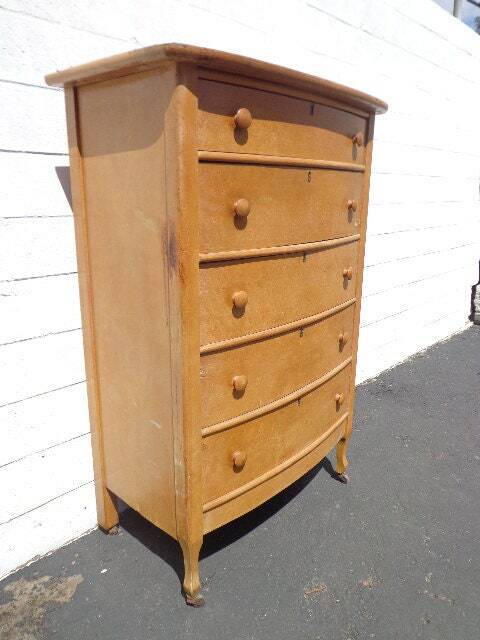 Cute design and shape with the original hardware completely intact. 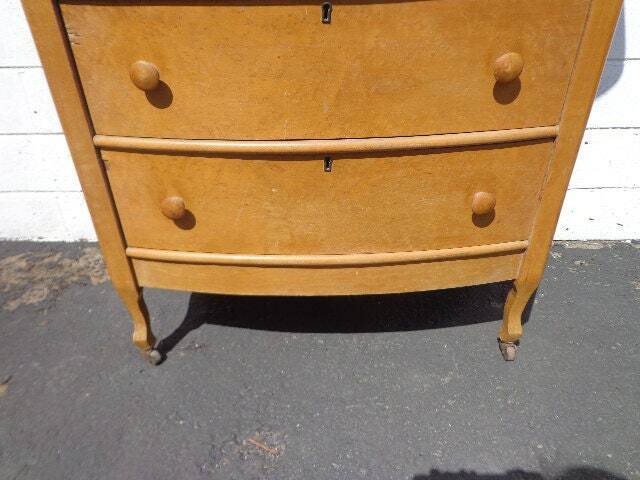 Vintage condition, shows wear from age/use, and solid. 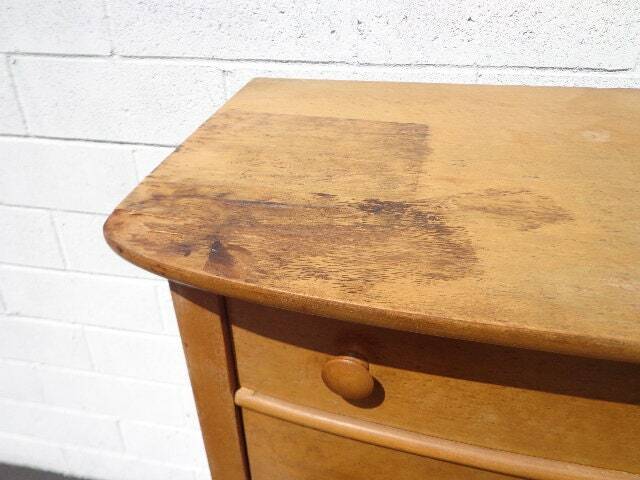 Shows heavy surface wear from age and use. 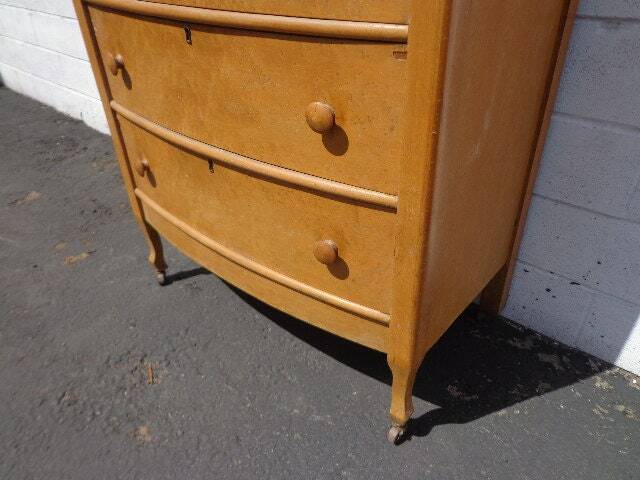 Needs to be refinished. 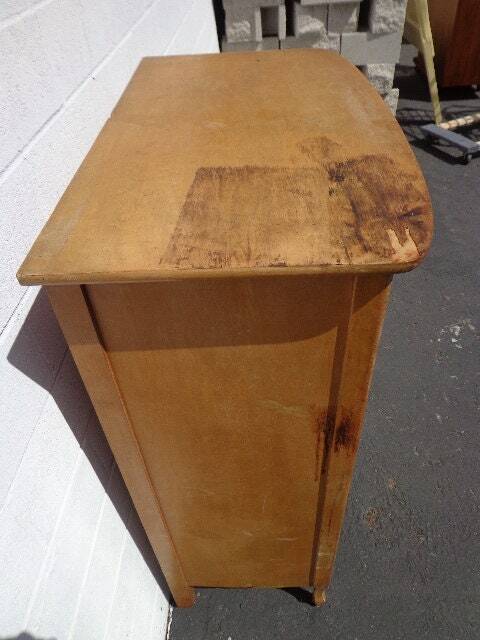 Dimensions: 32 1/2" x 18 3/4" x 48"